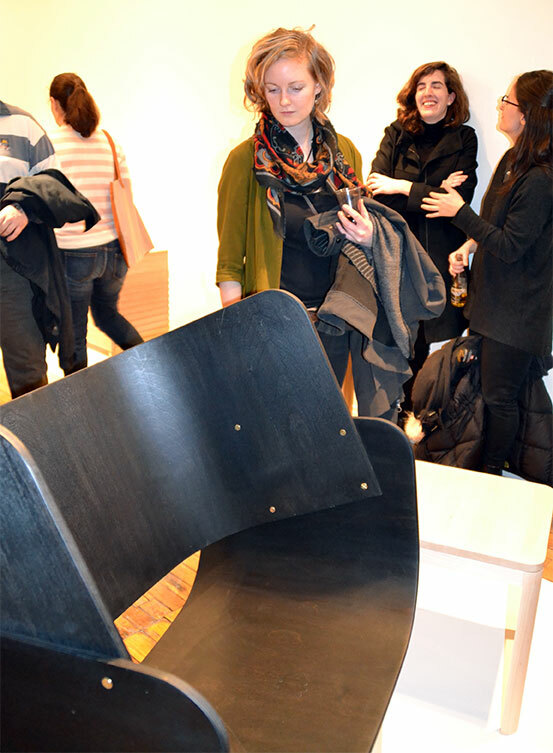 Members of the design community squished together inside a Toronto gallery to admire the work produced by Sheridan’s 16 graduating Furniture students during the opening reception of Reveal, on Jan. 21. The exhibit was organized by students in the three-year Craft and Design Furniture program with the help and support of Janna Hiemstra, curator and director of programs at Craft Ontario. 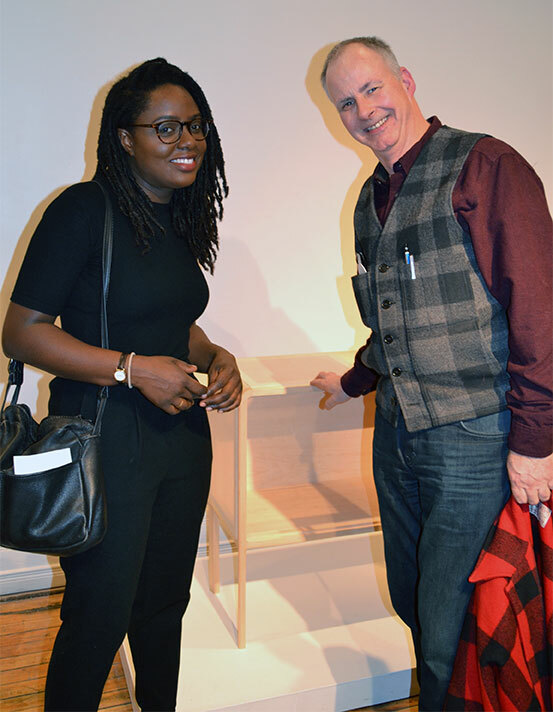 “Having these exhibitions exposes their work to the public, which is very valuable because people need to know that kind of work exists and that they can purchase it,” said Peter Fleming, studio head and professor in the Furniture program. 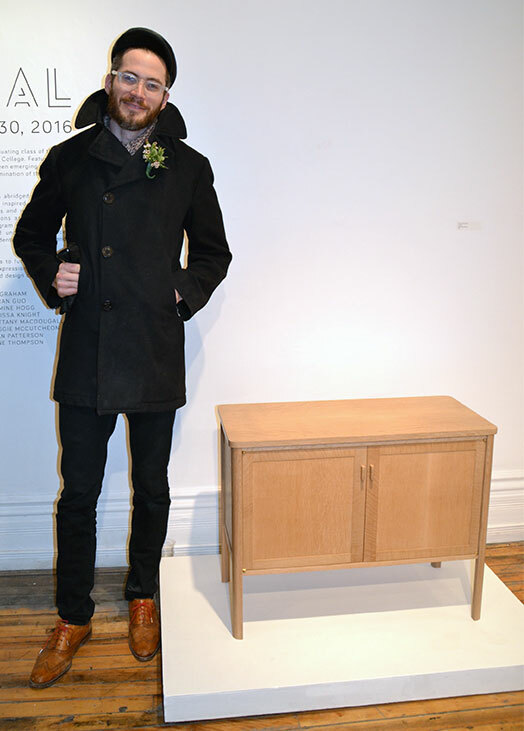 According to Stephen Dalrymple, one of the main student organizers of Reveal, there were many steps and tasks involved in the process of putting together the exhibit and finding a gallery. Students were responsible for choosing the pieces, naming the exhibit, creating a portfolio of their work, moving and setting up the furniture on the plinths at the gallery, labelling everything and more. 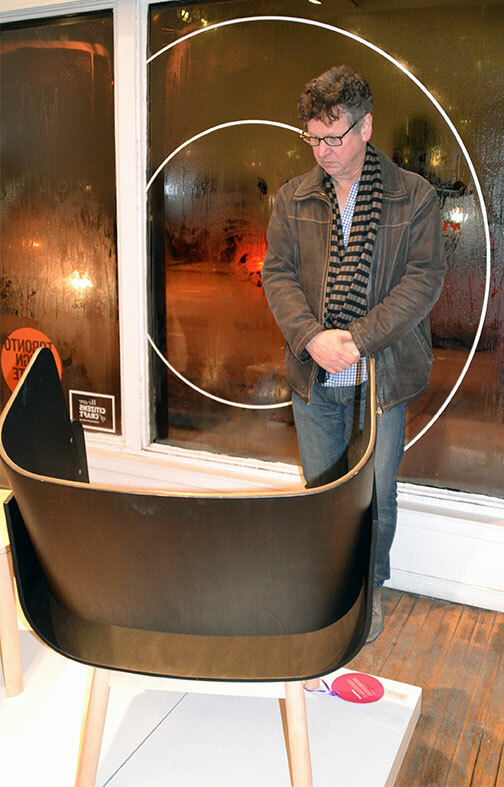 “It’s a lot of work organizing and curating a show,” said Dalrymple. 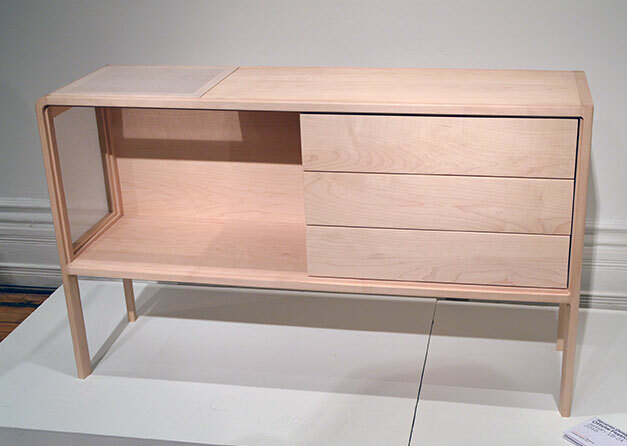 To demonstrate the great opportunities that are available teachers in the Furniture program make sure their students are aware of and start going to exhibitions and the shows of their previous classmates. 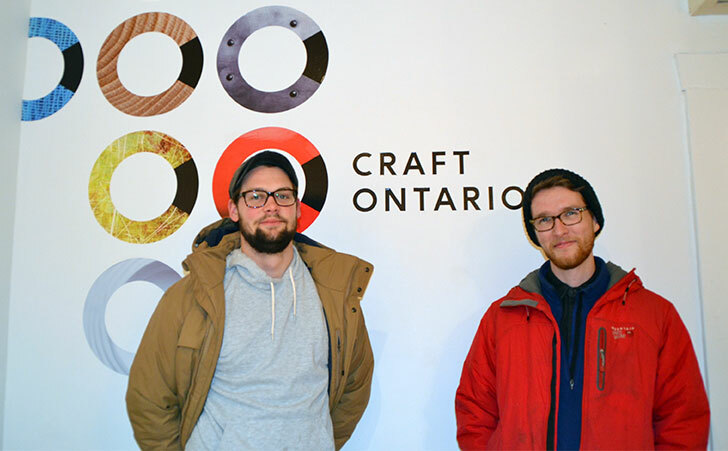 “I’m always doing my best to come out and support students,” said Gordon Thompson, coordinator of the Bachelor of Craft and Design program. 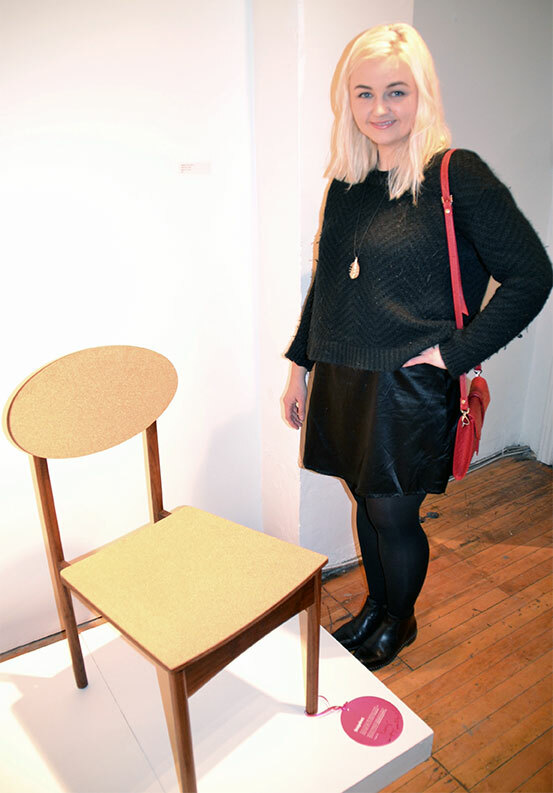 “However I know that this offsite show, which the Furniture students have been doing for a number of years is one of the best shows Sheridan students put up and I can’t miss it. 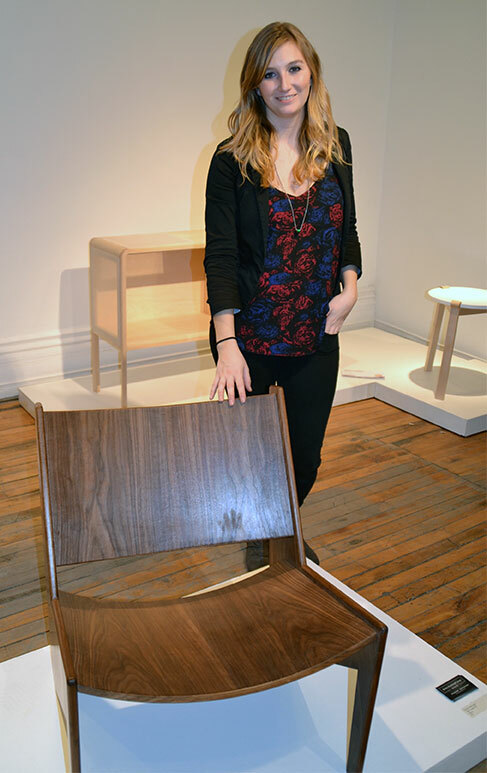 This is also the fourth year in a row the Furniture graduates’ exhibition has been a part of the annual Toronto Design Offsite Festival, which occurs in mid-January and during design week. 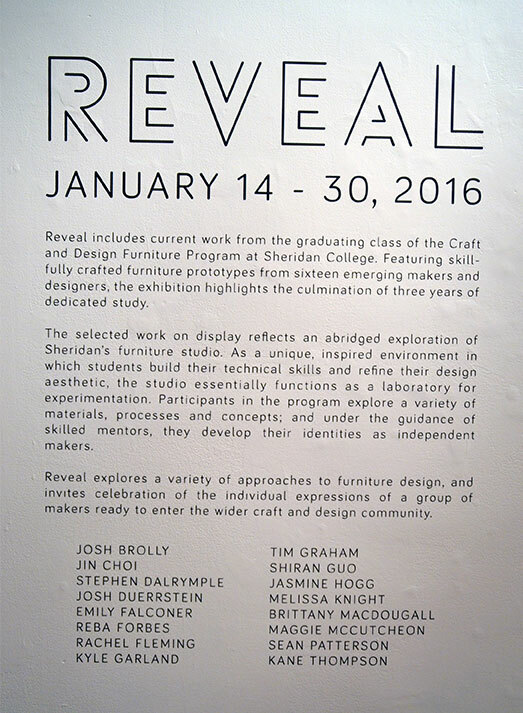 The exhibition’s title, Reveal, is a term used in furniture building. According to Dalrymple, reveals are known as a shadow line or space between two pieces of wood that creates a line of negative space. 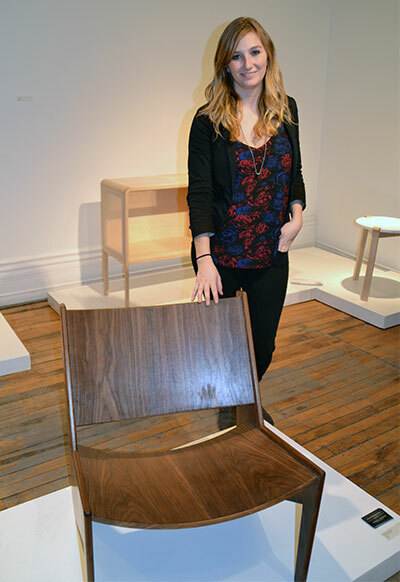 “We liked that word because we use it when we discuss furniture and composition of objects and we wanted to pick a title that was short, snappy and suggested that it was our first show,” said Dalrymple. 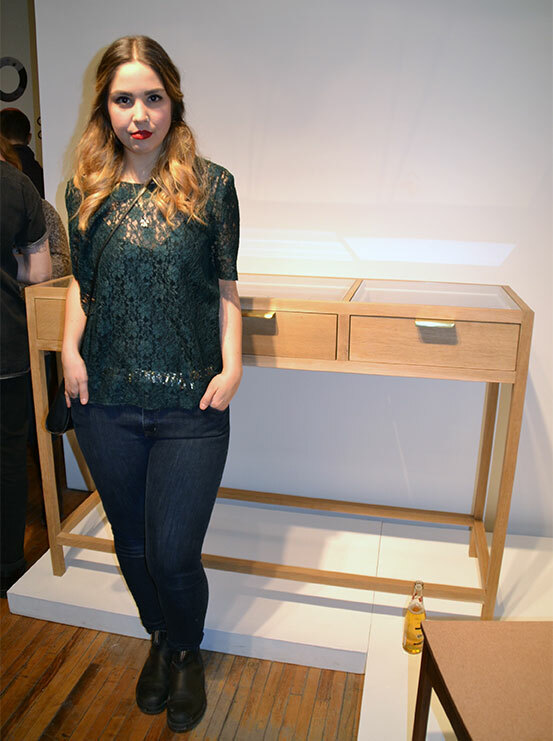 During design week, different magazines and the Toronto Design Offsite Festival gave awards to the designers. 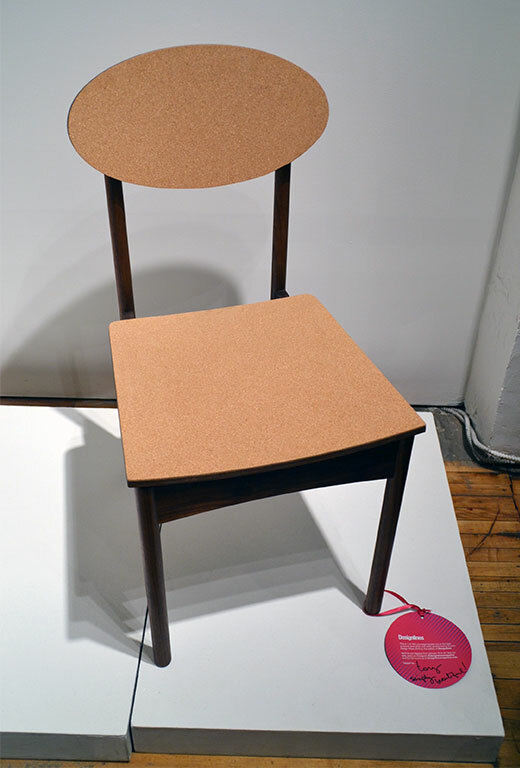 Designlines Love tags, created by the Designlines magazine to identify the best hundred products spotted during design week were placed on two of the pieces at Reveal. Added by Elise Morton on January 26, 2016.